For those of you embarking on a winter season this year and not sure where to begin .. our friends at Skisonaires are here to help. We are very excited about the launch of their website this week – making that recruitment process for budding seasonaires all the more simple! “You’ve made the first step and decided to do a ski season. Endless exciting opportunities now lay before you; but there are a few daunting questions to work your way through initially. Which resort? What job are you most suited to? Do you need training? What should you take? How much will you get paid? Where will you live? How often will you get time to ski? There is help at hand. 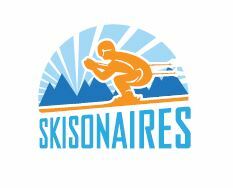 Skisonaires is the ultimate go-to website to help you find the perfect winter or summer season job. Not only are we in touch with a wide range of recruiters and top companies to work for, we offer many relevant training courses, CV writing tips, interview hints and everything in between. So if you’re not quite sure where to begin with the job hunt; look no further. Sign up to skisonaires.com and benefit from a simple and helpful recruitment process. We have experienced team members on hand who have all worked in successful seasonal roles and have endless industry knowledge. We are here to advise you on the best route to take, and how to choose one that will suit your specific skills and requirements.